So, here it is! 20 years in the making. I’m going off script today to not talk about playwrights or plays or theater but instead to announce the release (Kindle format) of my book. I started writing this book, or a version of it, when I was an undergraduate in college and it was fully underway by 1995. The book has been professionally edited on two occasions, substantially re-written at least three times, professionally reviewed by Kirkus_online_020115, and the cover art done by the talented Amanda Almon. My photo for the book jacket was done by Steve Mastroianni, another talented friend, and my good friend Jared Bendis has assisted in too many ways to enumerate. I’d also like to thank Atbosh Media for publishing the work and taking the leg work out of all the formats, isbns, lc numbers, etc. And last but certainly not least, my wife Kirsten, who read the book more times than she probably liked and who contributed significantly to my consideration of layout and design elements. The print version of the book will be available from both Ingram and Amazon in the next several weeks, and then I will begin attempts at consignment distribution to local stores and I’ll start pushing for it in local libraries. Congratulations on such a great accomplishment! Writing a book is a huge undertaking. 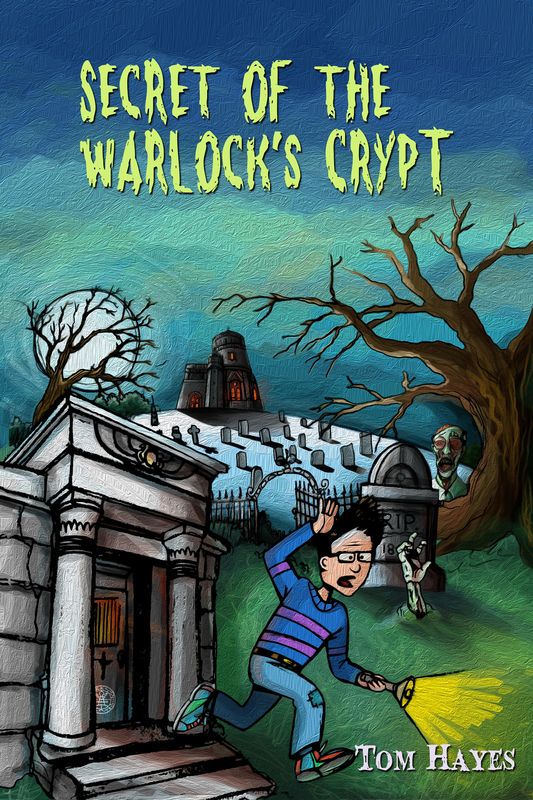 I hope to someday walk into a local bookstore or library and see “Secret of the Warlock’s Crypt” sitting on the shelf just waiting to be picked up.